Welcome to Pressure Washing Palm Harbor's website, we're a local driveway cleaning service. We clean houses and commercial buildings as well. We power wash areas to get rid of grime and caked up dirt as well as restore the surface's natural look. Having your property regularly cleaned will help prevent built up algae and moss which can lead to some nasty slips and falls, not to mention it just doesn’t look good. Our highly trained staff of professional cleaners are ready to make your property the cleanest on the block. A pressure washer or power washer is a high-pressure mechanical sprayer used to remove loose paint, mold, grime, dust, mud, and dirt from surfaces and objects such as buildings, vehicles and concrete surfaces. Due to the climate here in Florida if you want to keep your place looking the best that it possibly can you’re going to need to pressure wash your house regularly or hire a pressure washing company. Good thing Pressure Washing Palm Harbor is here to handle all of your local power washing needs. Our company believes in a job well done. We are a team of professionals and we promise to deliver nothing less than professional quality. So whether it's your commercial or residential location that requires a thorough cleaning go ahead and give us a CALL TODAY!! With our expert staff and professional pressure cleaning equipment we are ready to tackle even the dirtiest of jobs. ​ Let’s us "Put Some Pressure On That Grime !! " Power Washing is a little tougher than it looks. Although power cleaning may look easy there are many things that could go wrong when power washing your home? Our power washers don't just aim and spray, we're pretty methodical with our cleaning process this ensures that you get the best all-around clean. Many novice pressure cleaning services will use the same force and spray nozzles for every surface. The professionals here at Pressure Washing Palm Harbor know that different materials and surfaces require different levels of force/pressure to be utilized. Pressure washers can be used with or without chemicals it depends on the level of built up grime and the type of surface being washed. Always at the customers discretion of course, additionally if we are required to use chemicals we take precautionary measures to protect the surrounding landscape. Last but not least professionals hold themselves accountable for the quality of their work. Now that you know why hiring a professional is crucial go ahead and give us a call or fill out a quote form. However if you still want to give it a go yourself check out the ﻿D.I.Y﻿ tips on the residential power washing page. When it comes to water pressure cleaning services Pressure Washing Palm Harbor stands out among the rest for our superb customer service and skilled workers. Pressure washing houses is our specialty however we service business buildings as well so if you need your New Port Richey business cleaned give us a call or fill out a quote form today. Power washing New Port Richey has never been easier. We have power washed driveways, houses, and businesses in Trinity Fl. If you live in or around Trinity give Pressure Washing Palm Harbor a call for all your exterior cleaning needs. Our roof cleaning service will do more than just make your roof look great again. Hiring our cleaning service can increase the life span of your roof saving you thousands of dollars. We have been servicing roofs in palm harbor for years now. We offer power washing services to Clearwater Fl. Clearwater is a beautiful location here in the bay, many tourist visit the area. If you own a business in Clearwater keep it looking great with our Clearwater pressure washing service. APPEARANCE – Instantly enhance the appearance of your concrete driveway, patio or sidewalk. MAINTENANCE – Improves maintenance efforts by making your concrete easier to clean in the future. PROTECTION – Our product will not etch or damage the concrete surface. Your surface is protected. Power washing driveways are our favorite! We offer powering washing in Tampa locations. We have been servicing Tampa Fl for over 10 years now. If your house driveway, sidewalk or any part of your property needs a thorough cleaning just remember that Pressure Washing Palm Harbor is pressure washing Tampa as well. If you notice your driveway has changed colors, or isn't looking as great as it used to give us a call. Looks like you’re in need for our driveway cleaning services. Pressure washing driveways is one of specialties. Overtime our driveways began to look filthy from vehicles being constantly driven over them. Our driveway cleaning service can make your driveway look brand new again. We believe in things being done right so if you’re going to try your hand at driveway pressure washing here are some steps to follow that will get you on the right path to a clean driveway. 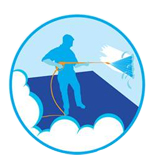 These simple steps will ensure that you have a successful and safe pressure washing experience. remove loose dirt and extra debris. 2. If you’re going to use soaps or other chemicals make sure to protect surround landscape. 3. Read your power washer manual. 5. Prepare power washer for detergent if necessary. 6. Degrease surface by spraying area with a degreaser can be bought from your local car store or Walmart. 7. Begin pressure washing the driveway in a side to side or up and down pattern depending on how wide or long the driveway is. 8. After you have a beautiful driveway keep it that way with a concrete sealer. However if you still want to leave the pressure washing to a professional then give us a call to start you r driveway cleaning service. When we take you on as a customer we also take the responsibility of cleaning your home’s exterior to the best of our ability, we are not there for one job, we’re there to build a long-lasting client relationship through the quality of our work and customer service. We understand your property needs and will work hard to ensure your completely satisfied. Simple we know.